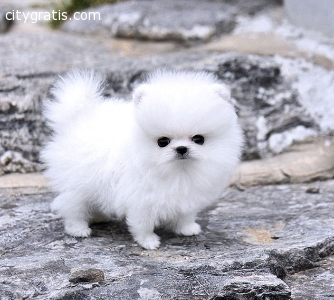 The Pomeranian are energetic, intelligent dog which is eager to learn and very loyal to its family. It is active and confident. Pomeranians bark at suspicious activity and can be trained to make excellent watchdogs. They enjoy cuddling up for a nap or running around like crazy, sometimes both in the same minute. El anuncio expira en: -1216 días.